Dana Gardner's BriefingsDirect: Who, if anyone, is in charge of multi-cloud business optimization? 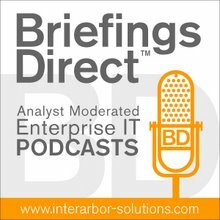 The next BriefingsDirect composable cloud strategies interview explores how changes in business organization and culture demand a new approach to leadership over such functions as hybrid and multi-cloud procurement and optimization. We’ll now hear from an IT industry analyst about the forces reshaping the consumption of hybrid cloud services and why the model around procurement must be accompanied by an updated organizational approach -- perhaps even a new office or category of officer in the business category. 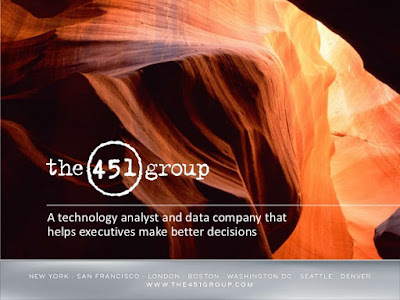 Here to help explore who -- or what -- should be in charge of spurring effective change in how companies acquire, use, and refine their new breeds of IT is John Abbott, Vice President of Infrastructure and Co-Founder of The 451 Group. The discussion is moderated by Dana Gardner, Principal Analyst at Interarbor Solutions. Gardner: What has changed about the way that IT is being consumed in companies? Is there some gulf between how IT was acquired and the way it is being acquired now? Abbott: I think there is, and it’s because of the rate of technology change. The whole cloud model is up over traditional IT and is being modeled in a way that we probably didn’t foresee just 10 years ago. So, CAPEX to OPEX, operational agility, complexity, and costs have all been big factors. But now, it’s not just cloud, it's multi-cloud as well. 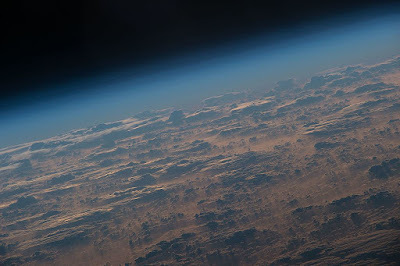 People are beginning to say, “We can’t rely on one cloud if we are responsible citizens and want to keep our IT up and running.” There may be other reasons for going to multi-cloud as well, such as cost and suitability for particular applications. So that’s added further complexity to the cloud model. Also, on-premises deployments continue to remain a critical function. You can’t just get rid of your existing infrastructure investments that you have made over many, many years. So, all of that has upended everything. The cloud model is basically simple, but it's getting more complex to implement as we speak. Gardner: Not surprisingly, costs have run away from organizations that haven’t been able to be on top of a complex mixture of IT infrastructure-as-a-service (IaaS), platform-as-a-service (PaaS), and software-as-a-service (SaaS). So, this is becoming an economic imperative. It seems to me that if you don't control this, your runaway costs will start to control you. Abbott: Yes. You need to look at the cloud models of consumption, because that really is the way of the future. Cloud models can significantly reduce cost, but only if you control it. Instant sizes, time slices, time increments, and things like that all have a huge effect on the total cost of cloud services. Also, if you have multiple people in an organization ordering particular services from their credit cards, that gets out of control as well. So you have to gain control over your spending on cloud. And with services complexity -- I think Amazon Web Services (AWS) alone has hundreds of price points -- things are really hard to keep track of. Gardner: When we are thinking about who -- or what -- has the chops to know enough about the technology, understand the economic implications, be in a position to forecast cost, budget appropriately, and work with the powers that be who are in charge of enterprise financial functions -- that's not your typical IT director or administrator. Abbott: No. The new generation of generalist IT administrators – the people who grew up with virtualization -- don't necessarily look at the specifics of a storage platform, or compute platform, or a networking service. They look at it on a much higher level, and those virtualization admins are the ones I see as probably being the key to all of this. But they need tools that can help them gain command of this. They need, effectively, a single pane of glass -- or at least a single control point -- for these multiple services, both on-premises and in the cloud. Also, as the data centers become more distributed, going toward the edge, that adds even further complexity. The admins will need new tools to do all of that, even if they don't need to know the specifics of every platform. Gardner: I have been interested and intrigued by what Hewlett Packard Enterprise (HPE) has been doing with such products as HPE OneSphere, which, to your point, provides more tools, visibility, automation, and composability around infrastructure, cloud, and multi-cloud. But then, I wonder, who actually will best exploit these tools? Who is the target consumer, either as an individual or a group, in a large enterprise? Or is this person or group yet to be determined? Abbott: I think they are evolving. There are skill shortages, obviously, for managing specialist equipment, and organizations can’t replace some of those older admin types. So, they are building up a new level of expertise that is more generalist. It’s those newer people coming up, who are used to the mobile world, who are used to consumer products a bit more, that we will see taking over. We are going toward everything-as-a-service and cloud consumption models. People have greater expectations on what they can get out of a system as well. Also, you want the right resources to be applied to your application. The best, most cost-effective resources; it might be in the cloud, it might be a particular cloud service from AWS or from Microsoft Azure or from Google Cloud Platform, or it might be a specific in-house platform that you have. No one is likely to have of all that specific knowledge in the future, so it needs to be automated. We are looking at the developers and the systems architects to pull that together with the help of new automation tools, management consoles, and control plans, such as HPE OneSphere and HPE OneView. That will pull it together so that the admin people don’t need to worry so much. A lot of it will be automated. Gardner: Are we getting to a point where we will look for an outsourced approach to overall cloud operations, the new IT procurement function? Would a systems integrator, or even a vendor in a neutral position, be able to assert themselves on best making these decisions? What do you think comes next when it comes to companies that can't quite pull this off by themselves? Abbott: The role of partners is very important. A lot of the vertically oriented systems integrators and value-added resellers, as we used to call them, with specific application expertise are probably the people in the best position. We saw recently at HPE Discover the announced acquisition of BlueData, which allows you to configure in your infrastructure a particular pool for things like big data and analytics applications. And that’s sort of application-led. The experts in data analysis and in artificial intelligence (AI), the data scientists coming up, are the people that will drive this. And they need partners with expertise in vertical sectors to help them pull it together. Gardner: In the past when there has been a skills vacuum, not only have we seen a systems integration or a professional services role step up, we have also seen technology try to rise to the occasion and solve complexity. Where do you think the concept of AIOps, or using AI and machine learning (ML) to help better identify IT inefficiencies, will fit in? Will it help make predictions or recommendations as to how you run your IT? Abbott: There is a huge potential there. I don’t think we have actually seen that really play out yet. But IT tools are in a great position to gather a huge amount of data from sensors and from usage data, logs, and everything like that and pull that together, see what the patterns are, and recommend and optimize for that in the future. I have seen some startups doing system tuning, for example. Experts who optimize the performance of a server usually have a particular area of expertise, and they can't really go beyond that because it's huge in itself. There are around 100 “knobs” on a server that you can tweak to up the speed. I think you can only do that in an automated fashion now. And we have seen some startups use AI modeling, for instance, to pull those things together. That will certainly be very important in the future. Gardner: It seems to me a case of the cobbler’s children having no shoes. The IT department doesn’t seem to be on the forefront of using big data to solve their problems. Abbott: I know. It's really surprising because they are the people best able to do that. But we are seeing some AI coming together. Again, at the recent HPE Discover conference, HPE InfoSight made news as a tool that’s starting to do that analysis more. It came from the Nimble acquisition and began as a storage-specific product. Now it’s broadening out, and it seems they are going to be using it quite a lot in the future. Gardner: Perhaps we have been looking for a new officer or office of leadership to solve multi-cloud IT complexity, but maybe it's going to be a case of the machines running the machines. Abbott: A lot of automation will be happening in the future, but that takes trust. We have seen AI waves [of interest] over the years, of course, but the new wave of AI still has a trust issue. It takes a bit of faith for users to hand over control. But as we have talked about, with multi-cloud, the edge, and things like microservices and containers -- where you split up applications into smaller parts -- all of that adds to the complexity and requires a higher level of automation that we haven’t really quite got to yet but are going toward. Gardner: What recommendations can we conjure for enterprises today to start them on the right path? I’m thinking about the economics of IT consumption, perhaps getting more of a level playing field or a common denominator in terms of how one acquires an operating basis using different finance models. We have heard about the use of these plans by HPE, HPE GreenLake Flex Capacity, for example. I wrote a research paper on essentials of edge-to-cloud and hybrid management. We recommend a proactive cloud strategy. Think out where to put your workloads and how to distribute them across different clouds. What steps would you recommend that organizations take to at least get them on the path toward finding a better way to procure, run, and optimize their IT? Abbott: I actually recently wrote a research paper for HPE on the eight essentials of edge-to-cloud and hybrid IT management. The first thing we recommended was a proactive cloud strategy. Think out your cloud strategy, of where to put your workloads and how to distribute them around to different clouds, if that’s what you think is necessary. Then modernize your existing technology. Try and use automation tools on that traditional stuff and simplify it with hyperconverged and/or composable infrastructure so that you have more flexibility about your resources. Make the internal stuff more like a cloud. Take out some of that complexity. It's has to be quick to implement. You can’t spend six months doing this, or something like that. Some of these tools we are seeing, like HPE OneView and HPE OneSphere, for example, are a better bet than some of the traditional huge management frameworks that we used to struggle with. Make sure it's future-proof. You have to be able to use operating system and virtualization advances [like containers] that we are used to now, as well as public cloud and open APIs. This helps accelerate things that are coming into the systems infrastructure space. Then strive for everything-as-a-service, so use cloud consumption models. You want analytics, as we said earlier, to help understand what's going on and where you can best distribute workloads -- from the cloud to the edge or on-premises, because it's a hybrid world and that’s what we really need. And then make sure you can control your spending and utilization of those services, because otherwise they will get out of control and you won't save any money at all. Lastly, be ready to extend your control beyond the data center to the edge as things get more distributed. A lot of the computing will increasingly happen close to the edge. 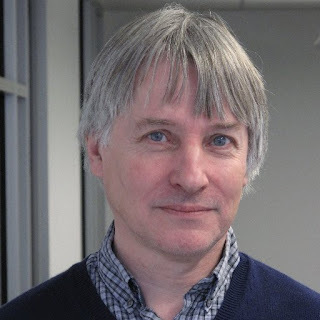 Gardner: Micro data centers at the edge? Abbott: Yes. That's has to be something you start working on now. If you have software-defined infrastructure, that's going to be easier to distribute than if you are still wedded to particular systems, as the old, traditional model was. Gardner: We have talked about what companies should do. What about what they shouldn't do? Do you just turn off the spigot and say no more cloud services until you get control? It seems to me that that would stifle innovation, and developers would be particularly angry or put off by that. Is there a way of finding a balance between creative innovation that uses cloud services, but within the confines of an economic and governance model that provides oversight, cost controls, and security and risk controls? Abbott: The best way is to use some of these new tools as bridging tools. So, with hybrid management tools, you can keep your existing mission-critical applications running and make sure that they aren't disrupted. Then, gradually you can move over the bits that make sense onto the newer models of cloud and distributed edge. You don't do it in one big bang. You don’t lift-and-shift from one to another, or react, as some people have, to reverse back from cloud if it has not worked out. It's about keeping both worlds going in a controlled way. You must make sure you measure what you are doing, and you know what the consequences are, so it doesn't get out of control.